Angkor Wat in short is a compilation of temples and along with Machu Picchu is one of the MOST magnificent man-made structures we’ve ever seen. There are several temples within the park, and although they are amazing it can be fatiguing to try and fit in seeing all of them. 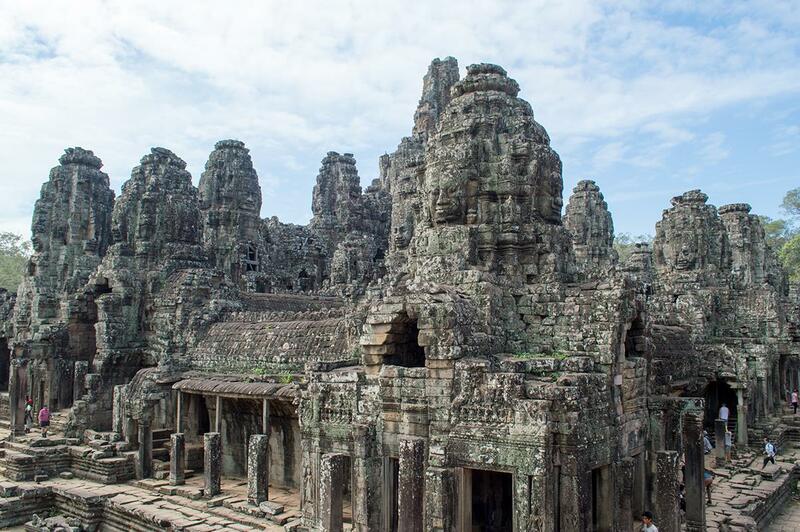 We visited as many as we could and came up with our own list of the best temples of Angkor Wat. To get started you need to know the details of the pass. There are 3 different passes you can purchase at the entrance to the Ankor Wat temple circuits. We went with a 3 day pass, which seemed perfect because we were able to visit a lot of the temples which would have been impossible to fit into one day. 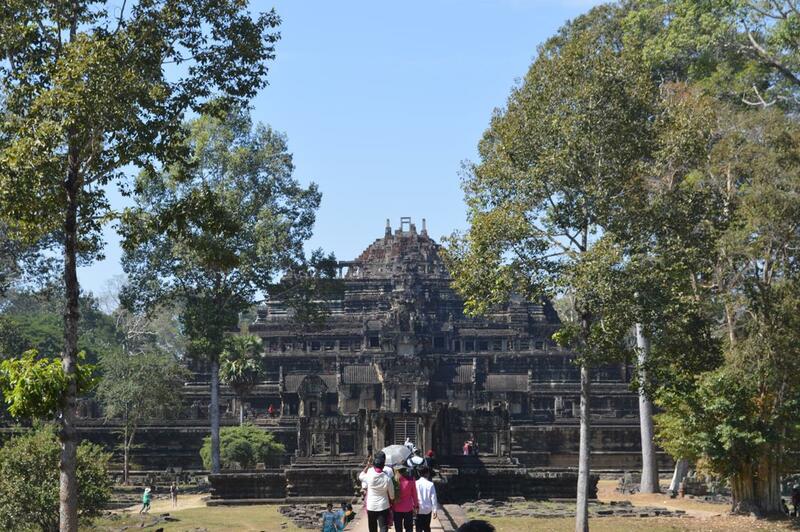 We went every other day to Angkor Wat to get a break and to avoid getting burned out. Unless you’re Indiana Jones, the seven day pass would be too long. If you go the evening before (at 5 pm) you plan to visit the Angkor temples you can buy your pass and go into the park to see the sunset without using any of your days on the pass. Scooter, bike or tuk tuk? First off, renting a scooter in Siem Reap is apparently illegal and can cause you to have to pay off a police officer if caught riding one. The locals are definitely willing to rent to you, but you’re on your own if a police officer pulls you over. You can find bike rentals as cheap as $1 a day, but they all charge per day instead of 24 hours. It doesn’t matter if you’re renting the bike at 6 pm, if they close at 7pm you have the bike for an hour. Also, keep in mind that the Angkor Wat Park is HUGE and biking it is for those who are athletically fit and able to bike about 10+ miles as well as hiking stairs in all the temples you make it to. We were beat after the first day of biking and gladly accepted taking a tuk tuk for the next two days. 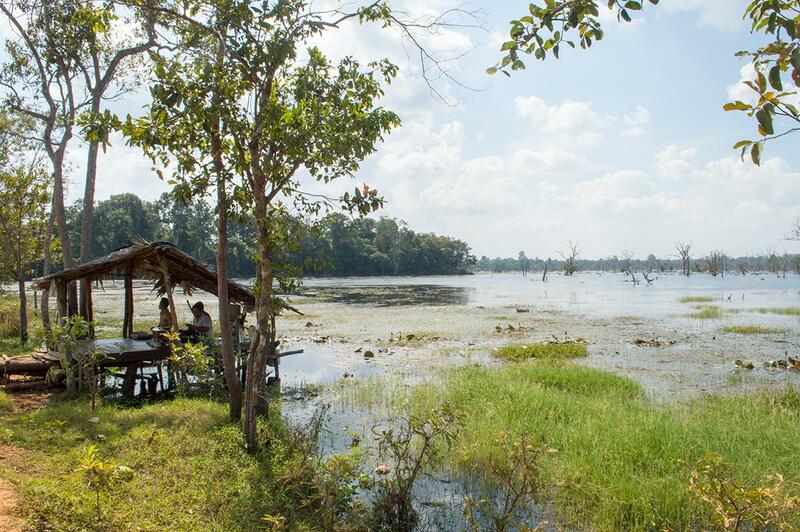 There are plenty of tuk tuk drivers that you can bargain a multi-day deal for Angkor Wat. On average the small circuit cost $13 a day and the large circuit cost $15 a day. Our tuk tuk driver Mr. Ry gave us both circuits for $13 each and I’d definitely recommend him! Now for those amazing temples! Kind of an obvious one to put on the list; but this is the main temple and the one you’ll want to see the sunrise from. Make sure to get there a half hour before sunrise because there are tons of other tourists with the same idea and surprisingly it will be hard to find a good viewpoint (at least if you want to take a picture). After sunrise you can hike to the top of Angkor Wat (there is a line if you go right after sunrise). Bayon was built sometime between the early 12th to late 13th century and lies in the center of Angkor Tom with several temples scattered around it. Other than the massive size of this temple, the smiling stone faces all throughout were the coolest feature. While riding our bikes to it we passed through the South Gate which was very cool because the gate has a line of devas (gods) on one side to the gate with the line of asuras (demons) on the opposite of them. Once we got there we were greeted by one of the many elephants carrying passengers on her back. She seemed to want a break from walking circles and came over to say hello with her nose. 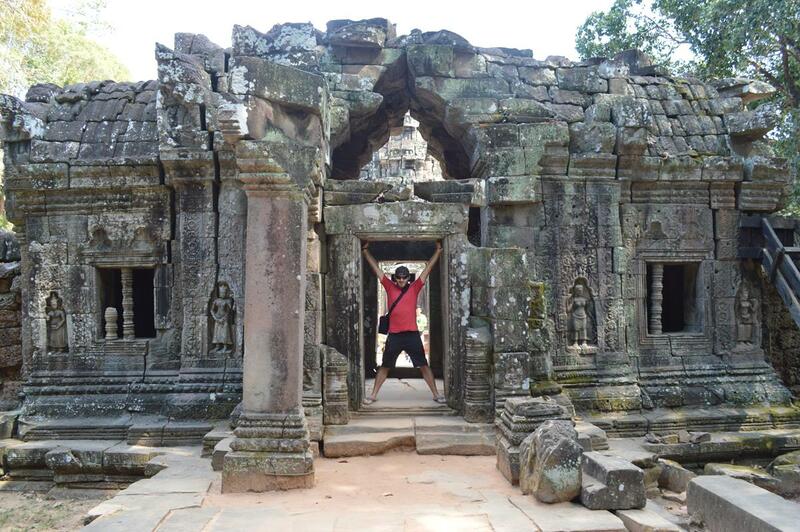 We liked Ta Prohm a lot and went back again the second day because we felt like we hadn’t spent enough time here. It was good we did because there were less people early in the day and we actually missed a portion of it that was extremely cool. The trees overtaking all of the ruins are the coolest part about this temple and several have actually been cut down due to the destruction they’re causing. Ta Prohm is referred to as “Tomb Raider Temple” since it was the set for Angelina Jolie’s movie. That’s fun to say isn’t it? We loved the scenary surrounding this temple more than the actual temple, but we’ll count it. Jayatataka was surrounded by water and we had to cross on a long bridge to get there meanwhile hearing the locals play music. We loved the stone path walkway to Baphuon mainly because of the beautiful pillars that were holding it up. A lot of tourists probably walk past without noticing what the pillars look like or paying close attention to their detail, but that’s understandable because Baphuon temple is very distracting. I’ll probably always remember this as the temple where police officers were hanging around and would start talking to tourists about the temple like a tour guide would. It was nice at first, but we got uncomfortable when he wouldn’t go away and we weren’t sure if he’d ask for money. Luckily we made an excuse to go the other way and he picked up on other tourists. Despite that awkward moment we still enjoyed the details and many passages of this temple. This was the last temple we visited so it has a special place in our hearts. We hit this temple when the sun seemed to be hottest and we crawled up those steps on all fours, with no shame. 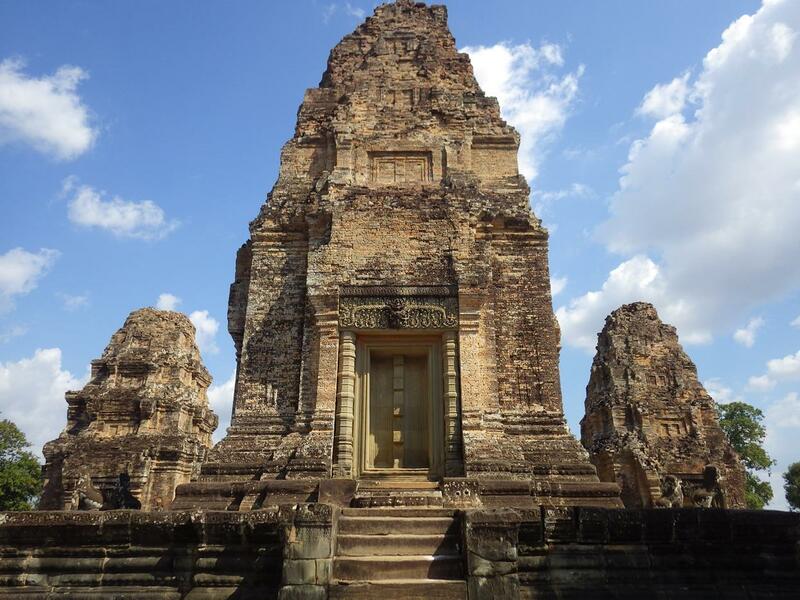 There are many temples in the Angkor Wat Complex, and even if you don’t make it to all of them make sure you can visit these ones! Which temple seems the coolest to you?